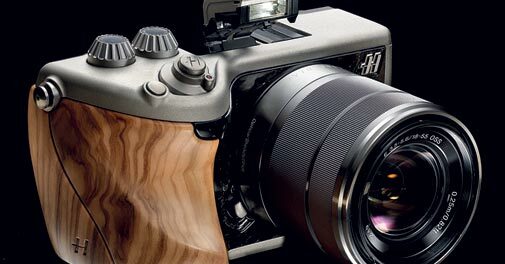 It is the innovative use of materials that really puts Hasselblad's new camera, the Lunar, in a league of its own. Swedish manufacturer Hasselblad, which makes cameras for some of the world's top professional photographers, recently launched the Lunar - a state-of-the-art Italian-designed luxury consumer camera that aims to revive the timeless charm of the 500C through its evocative retro look and famous chrome-plated frame. Hasselblad, whose legendary 500EL was used by Neil Armstrong to capture the first images of the moon's surface, has developed the Lunar in the traditional way, using handmade wooden prototypes. However, it is the innovative use of materials that really puts this model in a league of its own. The frame has been made smooth and supple with a total absence of edges, and the specifications match every modern requirement. An aesthetically compelling piece of camera art, the Lunar's ergonomics, weight and design make it a gorgeous object to both hold and behold.